ngage your viewers, promote your earned content and take control of your social media conversations with Wallery! 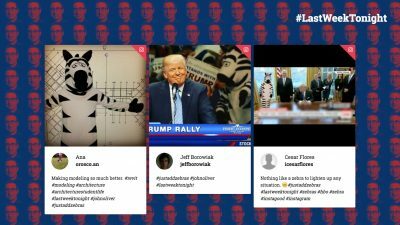 Wallery helps anchors, community managers, and producers discover, curate, and display social media posts from viewers and fans in real-time. Engage with your viewers on-air and add a new, social aspect to your TV program! With Wallery, you can moderate all social conversations and display only the posts and insights that are safe for broadcasting. Our user-friendly interface makes it easy to discover ongoing conversations and moderate the incoming social media posts in real-time. 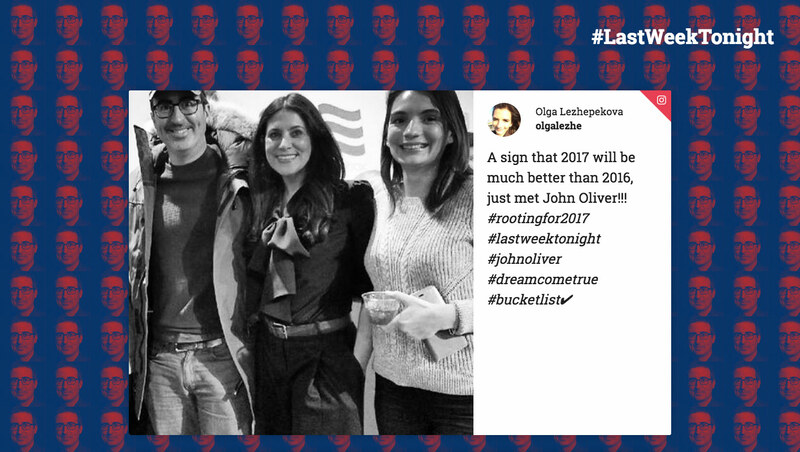 Our One Column layout, displaying the #LastWeekTonight hashtag. 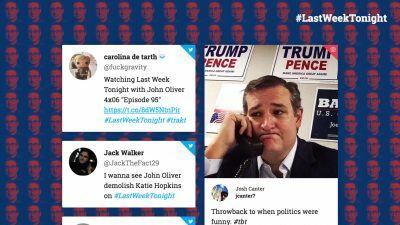 Our Two Columns layout, displaying the #LastWeekTonight hashtag. Our Tiles layout, displaying the #LastWeekTonight hashtag. Our responsive design makes sure Wallery will fit in beautifully on any set. Choose to display your social media wall in portrait or landscape mode and at any resolution. It will look just as beautiful on your screen as it will projected onto a wall. Become a premium user and enjoy our blazing-fast updates. You can rely on Wallery to help you engage your viewers in near real-time during your live shows. Ask questions, receive feedback from your viewers and enrich your program with the power of social media. We care about the ease of use of our products. Therefore, we’ve made sure discovery, curation and moderation of all earned and owned content are equally quick and simple whether done from your smartphone, tablet, laptop or a personal computer. You can display your viewers’ tweets on your social media wall, or choose to have them displayed in the ticker. We've made sure Wallery is versatile and can fit in seamlessly into any type of TV program, be it a fun show aimed at younger audiences or the evening news. Add your own social media network feeds to a whitelist and easily promote your owned content alongside the content earned from your followers. You can whitelist trusted sources, sponsors, partners and correspondents and make sure their posts are being seen by your viewers. Promote your sponsors and their products in a non-disruptive way by having it display within the social media stream with Wallery. With a BASIC or a PREMIUM account, Wallery lets you use your own logo and branding and offers customization options for ads and sponsored content.